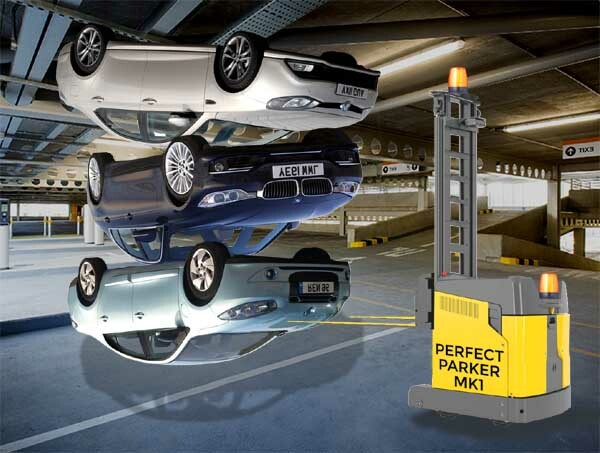 The PerfectParker Mk1, manufactured by the Boston firm Intelligence Inc. had been programmed to park cars with minimal space between them, with the aim of increasing parking density. However a software upgrade to the fully autonomous vehicle was installed on Monday evening, resulting in the robot’s unexpected behaviour. We understand that the algorithms have now been adjusted to give decision priority to vehicle value and damage repair forecasts rather than to vehicle density.